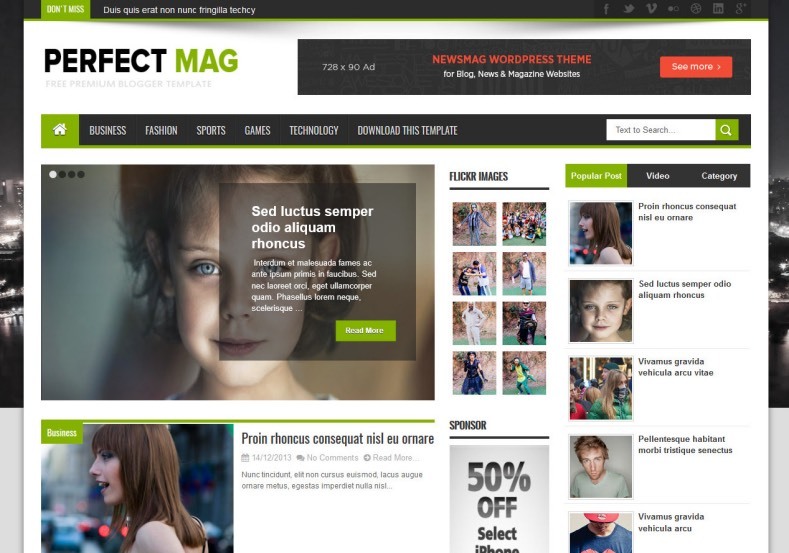 Perfect Mag Blogger Template is a complete Blogger theme for a news or magazine site with the focus of attracting and keeping visitors on their site. It uses the best clean SEO practices, and on top of that, it’ s fast, simple, and easy to use. It is sweet and simple and is perfect for writers, collectors, fashion, beauty, and just about any other form of blogging required. Every element of this theme is well crafted and makes your site look professional website and you get maximum exposure to your content. It is a beautiful and user friendly. Thanks for sharing this good looking template.